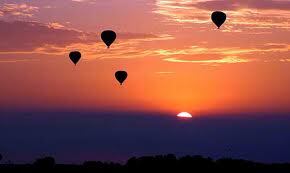 In the heart of Central Australia is Australia's most famous outback town - Alice Springs. 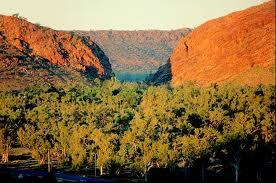 The township is surrounded by the MacDonnell Ranges, a great base to explore surrounding regions. Alice Springs desert lifestyle has inspired several unique events, such as the Alice Desert Festival Camel Cup, the Henley-on-Todd Regatta, Beanie Festival. There are no direct flights to Alice Springs from the UK, however there is a good selection of domestic flights to both Alice Springs and Ayers Rock (Uluru) from most of the main domestic Australian airports. Alice Springs is one of the most populated towns in the middle of a desert, even though it is small and more village-like than a typical town there are many many miles between this town and the next. Alice Springs is also the gateway to Australia’s greatest wonder Uluru, also known as Ayers Rock which can be reached on a short flight or in about 4-5 hours by road. Ayers Rock is a sacred monument to the Aborigines and there is a large proportion of the Aboriginal community living in Alice Springs as well as in the Outback – living off the land. Alice Springs and the surrounding desert also played a big part in Australia’s colourful history, most prominently during World War 2 when it was a staging base for the armed forces. Alice Springs’ unique desert lifestyle brings an element of fun to this little town with events such as the Alice Desert Festival Camel Cup, the Henley-on-Todd Regatta, Beanie Festival and the Finke Desert Race. Another reasons to book cheap flights to Alice Springs is to embark on one of the famous 3 day 2 night tours into Australia’s Red Centre. Most of the tours include a visit to Kata Tjuta (The Olgas) and Kings Canyon, learn about how they were formed and the importance they hold in the ancient Aboriginal stories as well as the secrets of finding food in this barren land – there’s also the possibility of spending the 2 nights sleeping in the red desert sand under a blanket of stars, depending of course on which tour you choose. Use our flight comparison search to find the cheapest flights to Alice Springs, Australia whether you're searching for low cost flights or lastminute flights if you need to book close to departure. At Directflights we compare airfares with more than 500 travel partners and airlines to destinations all over the world. In Alice Springs, temperatures can vary by up to 28 °C (50 °F) and rainfall can vary quite dramatically from year to year. In summer, the average maximum temperature is in the high 30s, whereas in winter the average minimum temperature can be 7.5 °C (45.5 °F), with an average of 12.4 nights below freezing every annum. While hot, this climate is not as severe as places such as Phoenix, Arizona or much of the Middle East. The elevation of the town is about 545 metres (1791 feet). The annual average rainfall is 279.2 mm (11.0 in) which would make it a semi-arid climate except that its high evapotranspiration, or its aridity, makes it a desert climate.